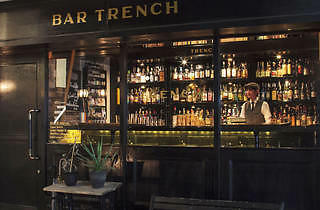 You're strolling the rainy streets of Ebisu and suddenly feel an ominous chill – is it your mind playing games, or...anyway, it might be time for another sip of absinthe at Bar Trench. This small watering hole, located off an alleyway just a few minutes' walk from Ebisu Station, stocks herbal liqueurs like Chartreuse and Picon as well as quality 'green fairy', appropriately served with a sugar cube and cold water. 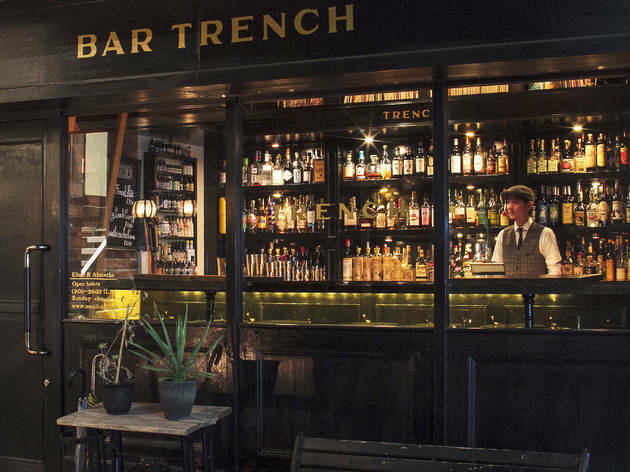 Their original cocktails are also well worth a shot – who could resist names like 'Corpse Reviver #2' or 'Monkey Gland'? Complete with a pseudo-aristocratic bartender and an interior that reeks of fin de siècle France, this has to be one of the most interesting bars in Tokyo.